Portrait of Warren Washington, 2006. Warren M. Washington is senior scientist and a section head at the National Center for Atmospheric Research in Boulder, Colorado, where he served as director of the Climate and Global Dynamics Division from 1987 to 1995. He has been associated with the center since 1963. A meteorologist, he specializes in computer modeling of the earth’s climate, using such models to simulate future climate change. His book, An Introduction to Three-Dimensional Climate Modeling (with Claire Parkinson), is a standard reference in the field. A member of the National Science Board (1995-2006) and its chair (2002-2006), Dr. Washington also served on the President’s National Advisory Committee on Oceans and Atmosphere and is active on many committees of the National Research Council. He is a member of the National Academy of Engineering, the American Philosophical Society, and the American Academy of Arts and Sciences and is past president of the American Meteorological Society. 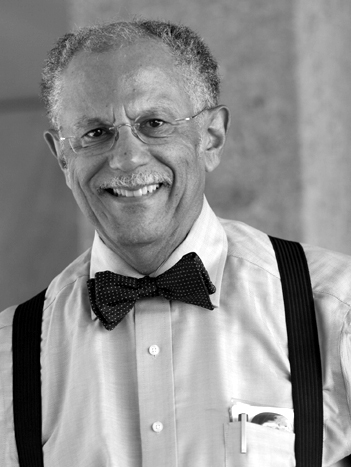 Dr. Washington was elected to the American Academy of Arts and Sciences in 2009. In 2010, President Barack Obama named Dr. Washington a recipient of the National Medal of Science, the highest honor bestowed on scientists by the government of the United States.